The future prophet and military leader was exiled with Pai Mārire prisoners to the Chatham Islands. He had been accused of spying for the enemy while fighting with government troops. As a young man Te Kooti (of Ngāti Maru and Rongowhakaata) acquired a reputation as a troublemaker and made powerful enemies among both Māori and Pākehā. His own tribal leaders described him as a ‘terror to the district’, while he upset local European businessmen by undercutting their monopoly of trade with Auckland. 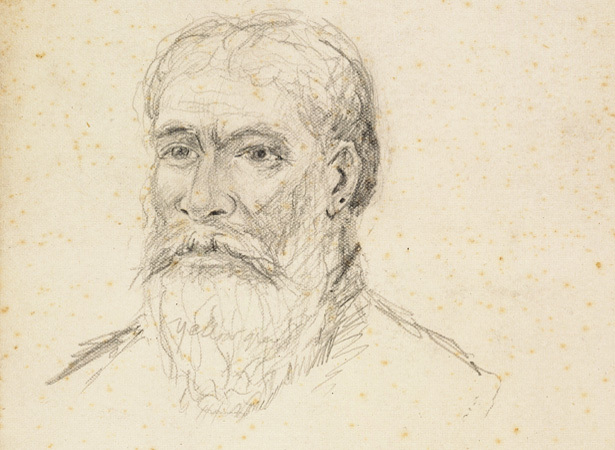 In 1865 he was among the few Ngāti Maru who did not convert to the Pai Mārire religion. He joined government forces fighting against Pai Mārire Hauhau at Waerenga-a-Hika, near Gisborne, in November 1865. Te Kooti was arrested after a Rongowhakaata chief accused him of supplying gunpowder to those inside the pā. The charges could not be proved and he was released, but rearrested in March 1866. His trading rival, J.W. Harris, told Donald McLean, the government’s agent on the East Coast, that Te Kooti was a nuisance whom they ‘ought to get rid of’. In June Te Kooti was sent, without trial, to Wharekauri (Chatham Island) with a party of Pai Mārire prisoners. While in exile he experienced spiritual visions and established the Ringatū Church, which combined elements of the Old Testament with Māori custom. In July 1868 Te Kooti and his followers on the Chathams seized the supply ship Rifleman. With 163 men and 135 women and children aboard, the vessel sailed for New Zealand, making landfall just south of Poverty Bay on 10 July. Te Kooti told Reginald Biggs, the Resident Magistrate at Gisborne, that he and his followers did not want to fight Europeans. He asked for safe passage to the King Country, where he hoped to strengthen his position as a spiritual leader. When Te Kooti rejected a demand that he give up his arms, Biggs led local volunteers and Māori allies in pursuit of his party. The first fighting broke out on 20 July. We have 4 biographies, 2 articles, related to Te Kooti exiled to Chathams.